There are a number of lesser known and rare teas from China. They are generally ones that are not widely marketed and/or are only available in small quantities. One reason is that a few decades ago farmers in the area chopped down a lot of the older tea trees to plant better cash crops such as rice. These older trees are now rather few and far between and sought out by various tea “hunters.” There is also the perception, justified or not, that these teas are, by virtue of their obscurity and/or rarity, of high quality. Some are, but others are just rare. A 10-years-old Tie Guan Yin, rare and rewarding! 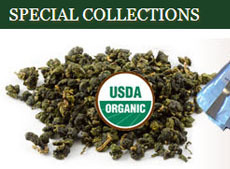 Wild Tie Guan Yin — A more rare version of a tea becoming more popular with tea aficionados. This version is considered wild since it is not commercially cultivated. The trees are in the Fujian Province on rocky, mist-shrouded hillsides (4,500+ feet elevation) around the Xi Ping village. The environment is subtropical. The tea is only picked once a year in the Spring. The aroma of the leaves has a green quality but also floral, fruity, and honey notes, and the liquid has a fabulous body, flavor, and finish after only a one-minute steep in boiled water will fully unfurl the leaves and produce a superb infusion. Green Tea from Anhui Province — This rare, competition-grade tea comes from high in the mountains of Anhui Province. Orchids surround the gardens and infuse their scent into the leaves during the night. Monkey Ditch, Tai Ping Hou Kwei, and Monkey Hill — This is actually 3 grades of tea made from a large, flat style of tea leaves that are almost two inches long and grown in the Yellow Mountain area of Anhui Province. After harvest, they are wrapped in gauze, which presses its pattern into the leaves and is considered a sign of the tea’s quality. Tai Ping Hou Kwei has a red coloring to the leaves; it is enjoyed with meals and has a slightly grassy character. Monkey Ditch has a red vein in the leaf; it steeps up a very fresh, sweet hay aroma and a grassy, green taste. Curled Dragon Silver Tip — The leaves are thick and downy with a green and white coloring; they steep up a liquid that is complex, mildly sweet, and has a somewhat floral character but remains smooth with no astringency. A must for green tea lovers! Snow Monkey — Named quite possibly for its silvery, downy leaves that infuse a light colored, medium-bodied liquid with a clean, fresh taste. Tie Luo Han Oolong (Iron Warrior Monk, Wu Yi Tie Luo Han) — The leaves are dark and slightly curled. This is one of the Famous Five Wuyi Rock teas and supposedly dates from the Song Dynasty, making it the earliest Wuyi tea. 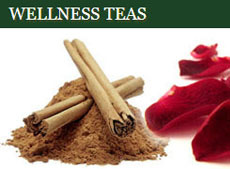 The liquid has a flavor that is rich, full-bodied, and quite strong, steeped up from. According to legend, this tea was created by a powerful warrior monk with golden-bronze skin who found a tea bush in a cave (Gui Dong or Ghost Cave) in Hui Yuan Yan, one of the 99 cliffs of Mount Wu Yi. Pi Lo Chun — This tea is from trees growing in the Tung Ting mountains, near peach and apricot trees which gives the leaves a subtle peachy aroma and delicate infusion. Those leaves are also downy and resemble tiny snails. 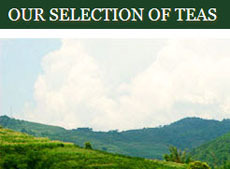 Finding teas that are truly rare, special, lesser known, etc., can be tricky. As with anything of increasing value, imitations abound. A trustworthy vendor is, therefore, a must in your quest. 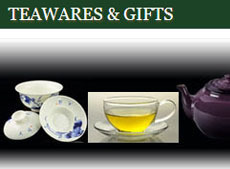 This entry was posted in China and tagged chinese tea, JAS-eTea, rare tea. Bookmark the permalink.